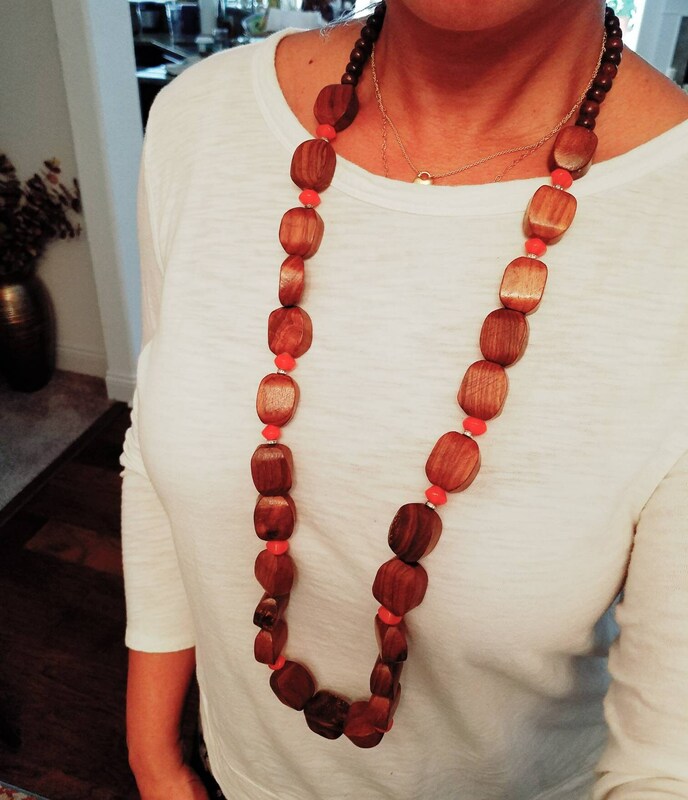 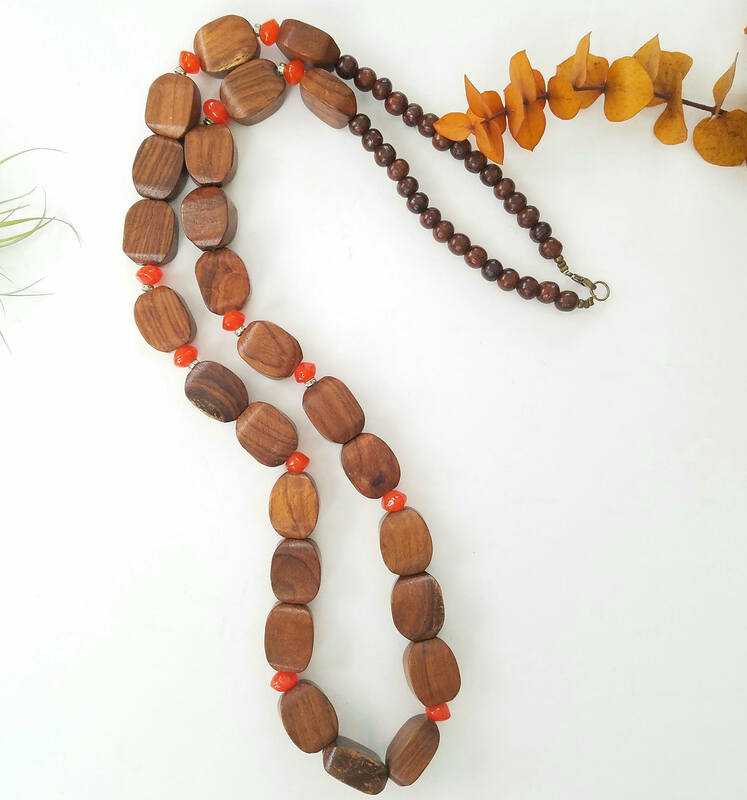 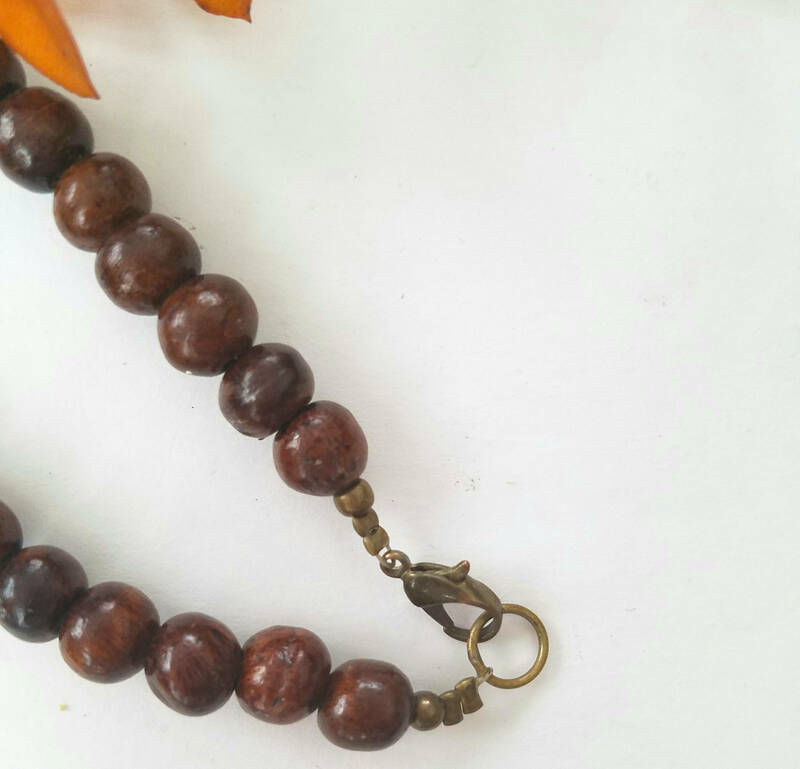 Beautiful boho wood extra long brown bead necklace. 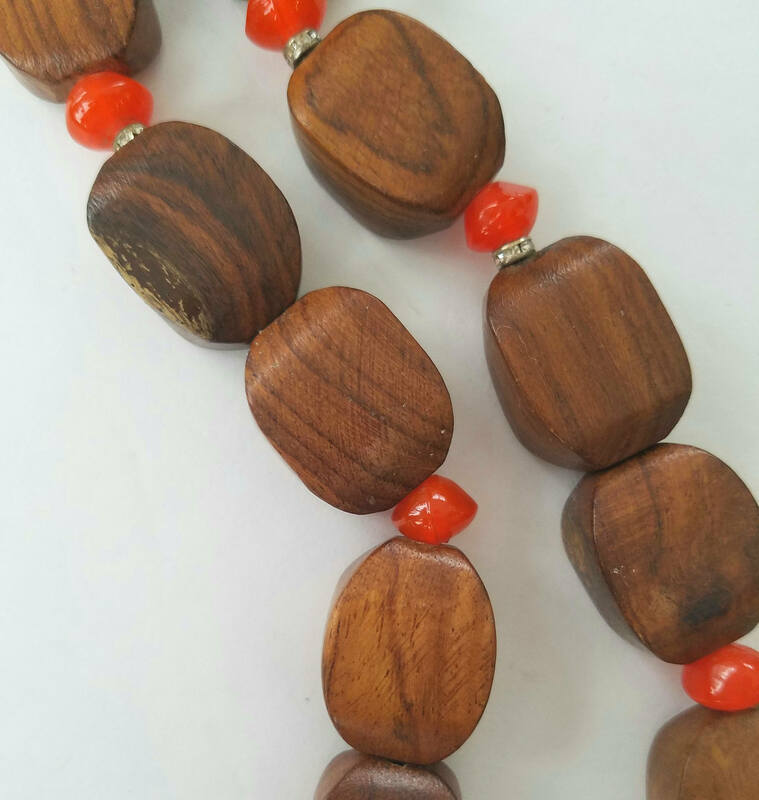 Reddish orange bead accents in between. 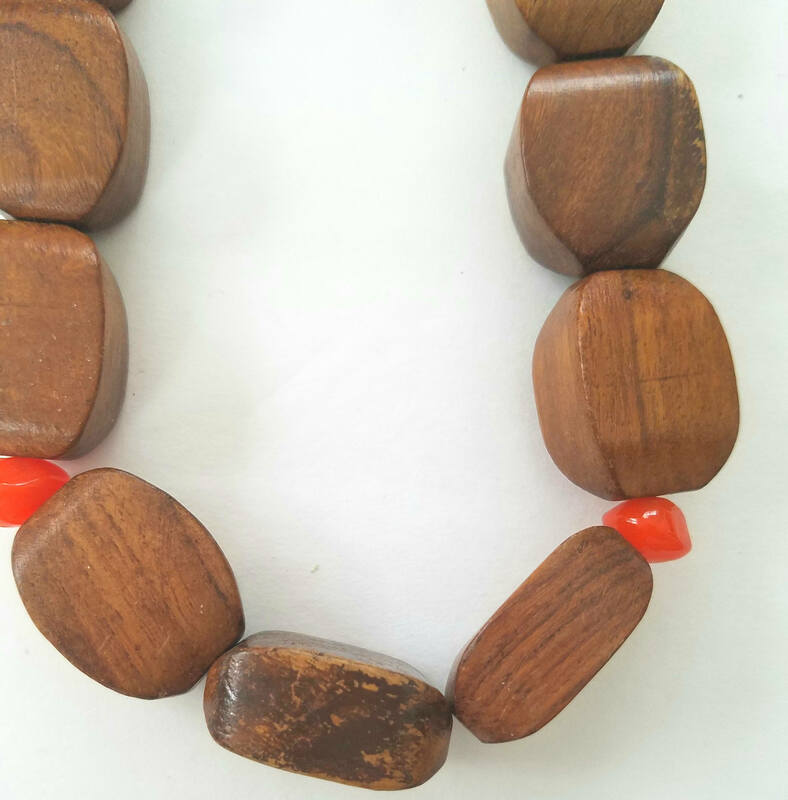 Some wood pieces are a bit worn (See pic) but in overall great condition.